Q: One does think of oneself as a person but then when your awareness hopefully starts to develop, is there a sense of loss or fear that I’m not about? A: There can be panic, or terror even. Q: But before you made it sound as if it’s absolutely wonderful. A: Well, my world before I started meditating had a sense of cohesion and stability based around certain limitations, and when those limitations started falling away it was very frightening. The world is falling apart, there is a sense of losing control, ‘I’m going to disappear into a void. If I don’t have this and I don’t have that, and I’m not like this, then I don’t know who I am any more, and I’m just terrified.’ That is an emotional reaction. But as you trust more and see that that is just a reaction, then it goes away. It is a natural reaction, especially when you first start having those insights. People want the world to be safe. Why do people want to get rid of foreigners? Or feel threatened by the possibility of aliens and strange things or things that they can’t predict? The more insular you are, the more your world is like that, so even people from the next county, ‘Well, you can’t trust them; they’re not like us.’ You are limited to a very small group of people. When those boundaries start to fall away, people get into wanting to get rid of the foreigners, kill the enemy, put up the barriers. There is a kind of reaction to the fear of what is unknown, alien and uncertain. 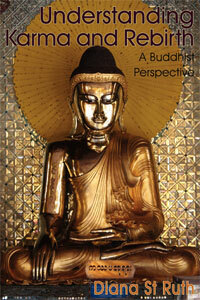 The Buddha, on the other hand, takes down all the barriers and leaves an empty space. As you let go of your emotional habits you find it is very peaceful, it’s universal, it’s what you really are; you’re not the limitations that you identify with. You are not the human body. What does that mean? If you think you are a human body, then the thought of the body being dead is rather frightening; your identities are limited to a physical body which is going to die. So then you begin to realise that your true nature is deathless rather than something that you are going to lose when the body goes. I remember in the early years of monastic life in Thailand—I started with Ajahn Chah at a Thai monastery—I found myself with this sense of dying; I felt I was dying and I got into this panic. I thought, ‘Luang Por Chah’s trying to kill me,’ or, ‘This whole monastic life is just about trying to annihilate ourselves.’ I began to fear I had joined some evil cult, and then I kept having these inner voices saying, ‘I want to live! I want to live!’ and I was filled with incredible sexual desires. The most mad kind of lustful thoughts would come up in my consciousness and, ‘I want to live! I want to live!’ But then I found that something in me intuitively knew not to act on it and so it began to fade out. As I became more aware, I could see that my emotions felt very threatened and there was this incredible impulse towards sexuality just to seek rebirth again in some way, on a personal level. As I let go of that it dropped away. 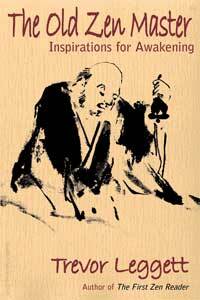 Up to that time I had been getting good samadhi and I was a good monk. In Thailand people would say, ‘‘Sumedho’s really a good monk. He’s very strict with the rules. He composes his mind and sits very straight and meditates.’ I thought I was very successful and didn’t have any great problems around lust or anything like that, ‘That’s all gone! I’m beyond all that,’ and then suddenly it was as if the forces of Mara had planned a full-scale attack on me, and it was shocking because it was unexpected. I was getting kind of smug about my virtues, but this gave me a good knock. Now, when I look back, I see how frightening it was, this sense that you’re dying, like in Shakespeare’s sonnet, ‘and Death once dead, there’s no more dying then.’ I used to contemplate that, and Luang Por Chah was always saying, ‘Die before you die.’ He used that as a common reflection. So, often in meditation you do feel like you’re dying as a person and that can be very frightening, but if you let everything die, what’s left? It is deathless. So, there is nothing to fear. Q: What about people around you? I find the people in my family becoming rather resentful about my interest in Buddhism and meditation. A: It can be very frustrating for others who don’t understand what you’re doing. People want you to reaffirm their lives, so if you stop drinking, smoking, and eating meat, for example, that can be very frightening. And then you might meditate rather than sit watching television. This is a problem because families could feel very threatened; they want your participation, then they feel everything is all right, ‘She’s doing what we’re doing and we understand her when she’s doing what we’re doing.’ When you’re not doing what they’re doing, then, ‘What’s she doing? Is she going senile? Is she losing it?’ I’ve found also, though, with so many people that in the long run and in troubled times—especially when somebody dies or something like that—the family will probably come to you. That’s when they need you and you will have something to offer that will help them that they wouldn’t have had if you had just gone along with them. The above is from a talk given by him on 31 July 2001 at the Buddhist Publishing Group Leicester Buddhist Summer School. Ajahn Sumedho was the abbot of Amaravati Buddhist Monastery, England. 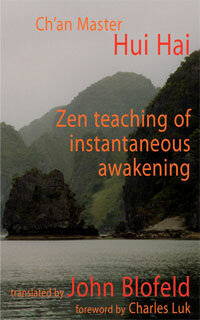 Ajahn Sumedho books include Teachings of a Buddhist Monk, and Don’t Take Your Life Personally. 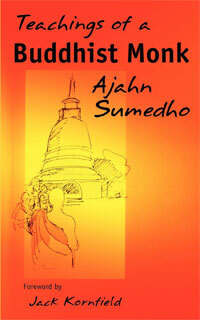 For more teachings by Ajahn Sumedho click here. This is such a timely prescription for headaches brought about by news headlines lately–thank you so much! I am in a very emotional place at the moment because of the unexpected detieriating of my husbands mental and physical health.Reading this has helped me so much.Thank you. Let’s hope your husband makes a recovery soon Rita. What really helps is when you invite the fear or pain into that spaciousness that constitutes your True Self of Buddha mind. That action of compassion is what fear needs to heal. Nice of you to say so Beth.